The study of economics is not simply something that is limited to the textbook and school and college degrees. It has always been relevant to everything and everyone, from an individual to the entire society at large. Economics is something that governs everything, from how we earn and save for posterity, to how a society is run by the government. Proper economic handling can make or break a country, as we keep seeing in numerous instances all over the world. And this is something that the world is recognizing more and more every day. Political economy is an extremely important part of the state, and determines how a state will fare, intellectually, economically, and socially. In this article, we will discuss how and why the study of economics is so important for us. Why good economy is important? It is very important for the producer to be well versed in the study of economics. It is necessary that a god economic model is followed to ensure that the cost of production is minimized. It is only through understanding economy that the producer will ensure that they never spend more than their capital, and guarantee maximum profit without compromising on quality. Without good understanding of economics, the producer might end up spending too much on manufacturing, levying impractical prices on goods to recover the costs, and thus end up with an unused inventory that will ultimately go to waste or have to be disposed off at far lower prices, incurring a huge loss. The consumer also stands a lot to gain by gaining a good understanding of economy. We all earn to lead a good life, spend on the necessities and some luxuries, and save enough for posterity. However, if we do not have a good understanding of economics, it is likely that we will end up spending more than what is due. We might spend too much on immediate and quite unnecessary luxuries, and in the end, not have enough to see us through in times of trouble. 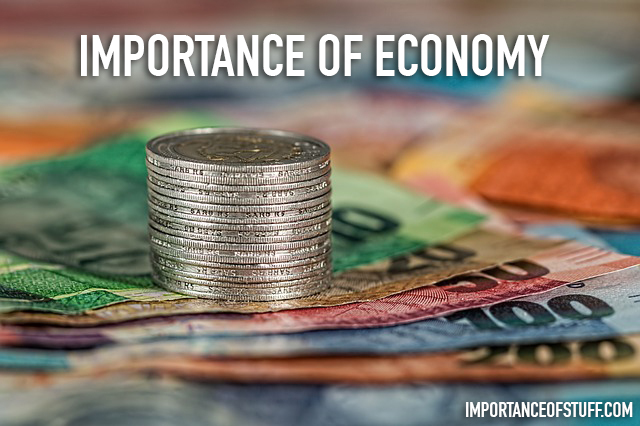 Proper understanding of economics is important to ensure that we are able to spend and save the money that we earn wisely, ensuring that we get ample returns. It is important to have people with a good understanding of economy in the government, because that will help to manage the country’s finances better. Only a good grasp off economics will allow the government to allocate the budget in accordance to requirement. For instance, if too much of the budget is allocated to undertaking festivals, too little will be left for important things like maintaining and improving infrastructure in the sectors of education and healthcare. Poor understanding of economy leads to bad investments and wore spending, leading to a fall in the economic condition of the country as a whole. This is something we keep seeing around us on multiple levels, in multiple countries. It is very important for the good folk in the parliament to have a good understanding of economics, not just because it helps them understand the budget better, but also because it helps them to frame better laws. Every law will have an economic impact on some level, and it is essential that the legislator understand the economy of the country while passing said laws. For instance, in a developing and economically poor country, if an income tax of 50 percent is levied, it would become impossible for people to live a decent life with the money that they have left after paying the taxes. It is also very important for the common people of a nation to have a good understanding of economics. It would help them with their personal finances, and also help them understand the laws and policies that are passed by the government. If anything is wrong with the policies, the people will be in a position to understand and criticize them, and even possibly guide the government into rectifying the mistake. Someone once said, ‘economics is the intellectual religion of the days’. And they could not have put it more clearly; truly, economics is something that we all need to understand, without which our education remains incomplete. People are also becoming more and more economically aware, as it becomes more and more difficult to manage finances in the face of rising costs all over the world. Not being well versed in economics- political or personal- is a mistake that comes with a huge price tag; you will be probably making a mess of your personal finances in a disastrous manner.